This is my first post on here. I am a Junior Public Health Science major. I'm interested in cancer biology because of the personal impact that cancer has had on me and my family. I am interested in pursuing cancer research and cancer prevention methods. Embedded is a picture that shows the number of cases of various types of cancer that are attributable to smoking cigarettes. 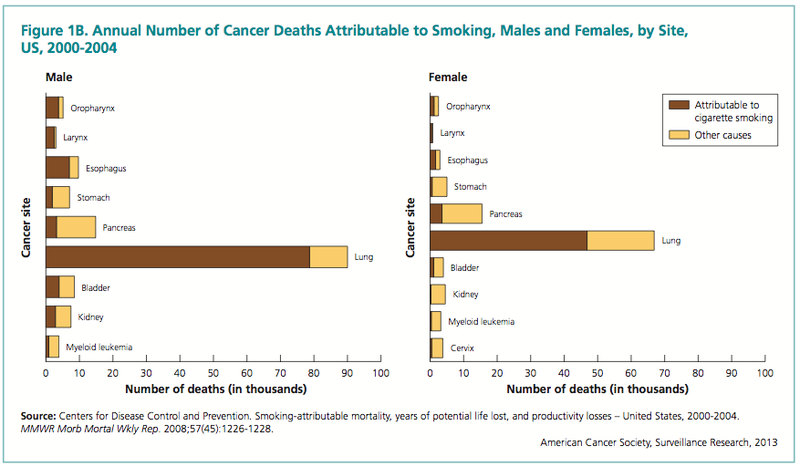 This graph shows the detrimental affects of smoking and how not smoking is a powerful preventative method. I found this graph from an article taken from the American Cancer Society's website.